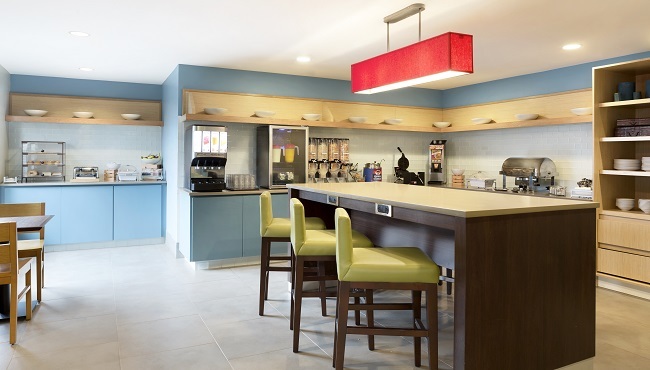 The complimentary, hot breakfast at the Country Inn & Suites in Jackson, TN features a rotating menu of freshly cooked items like Belgian waffles and omelets. You can also choose from daily favorites such as cereal, bagels and fresh fruit. Our hotel’s location just off I-40 provides easy access to a range of local restaurants that serve lunch and dinner, including Moe’s Southwest Grill, Fazoli’s and Cheddar’s Scratch Kitchen, all within walking distance.